Coles has begun distributing funds that it raised through the additional 30 cents on its 3 Litre brand milk. 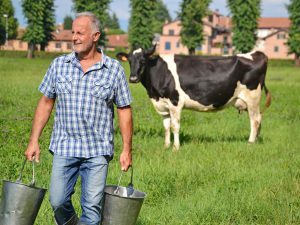 A total of $3.9million will be donated from the supermarkets Dairy Drought Relief Fund. The promotional milk was sold between September 21st and December 31st 2018 and the funds raised will be shared across 639 eligible applicants. Coles chief operating officer Greg Davis said: “Coles is proud to support the Australian dairy industry and we were delighted to see customers get behind this initiative, knowing the additional 30 cents from every bottle of Coles’ 3L Own Brand milk they bought would end up in the pocket of an Aussie dairy farmer”. “This money will provide critical financial support to dairy farmers to assist with feed and water costs for their cattle, farm improvements and even meeting household expenses,” Mr Davis said. That’s Fantastic, I do hope this makes a difference to the Dairy Farmers as we rely on them for our milk.